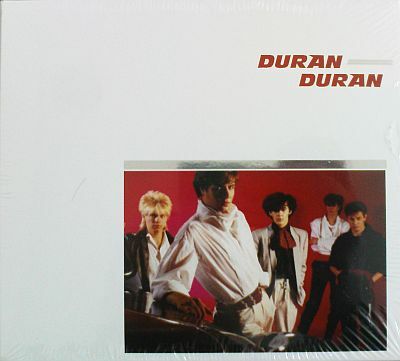 "Planet Earth" is the debut single by Duran Duran, released on 2 February 1981. The band members are Simon Le Bon, John Taylor, Roger Taylor, Andy Taylor and Nick Rhodes. The single was an immediate hit in the band's native UK, reaching #12 on the UK singles Chart on 21 February, and did even better in Australia, hitting #8 to become Duran Duran's first Top 10 hit anywhere in the world. "Planet Earth" begins with a slow synthesized sweep backed with electronic rhythm, but the real rhythm section of throbbing bass and crisp drums soon kick in. Muted guitar carries the up-and-down melodic hook of the song as Simon Le Bon joins in. Beginning with "Planet Earth", Duran Duran began creating what they called "night versions" for each of their songs: extended versions that were featured on their 12-inches singles. Back in 1981, the technology to do extended remixes was still quite rudimentary, so the band chose instead to create a new arrangement of the song, loosely based on the version they were playing live at the time. This formed the basis for the "night version". Repress. Issued in black sleeve. "With Compliments" is an promotional 12" release in the Netherlands only. Released in 1981. Planet Earth mix is Special Disco Mix, but it is the same as the Night Version. All tracks written by Duran Duran. Produced and engineered by Colin Thurston at Red Bus, Utopia, and Chipping Norton Studios. Winter 1980/81. Sleeve design: Malcom Garret / Assorted Images. Outer photography: Fin Costello. Inner photography: Terry Jones / Perry Haines. "DURAN DURAN - RIO - SEVEN AND THE RAGGED TIGER" is an box set by Duran Duran. It was released in the UK in 2004. The Box is an exclusive limited edition 3-CD set comprising of the 3 digitally remastered albums, with each CD presented in a mini-LP style (gatefold) card picture sleeves and housed in unique flip-top box. The Rio album also contains 3 videos. "Girls on Film" is the third single, released on 13 July 1981. The single became Duran Duran's Top 10 breakthrough in the UK, peaking at Number 5 on 25 July 1981. Its success was particularly gratifying for the band, who had personally selected it for release following the failure of its predecessor, "Careless Memories", which had been chosen by their record company, EMI. It's popularity provided a major boost to sales of the band's eponymous début album, Duran Duran, which had been released a month earlier. "Sound of Thunder" is a promotional-only 12" vinyl single, released in the UK by Tritec Music during 1981. This is a sampler single, featuring tracks from Duran Duran's debut album. Housed in a plain sleeve, the single was also issued with a promo sheet that included details about the album. "Anyone Out There" is a 7" vinyl single, released only in Brazil by Harvest as a promo single during 1982. 2 different sleeves; Emi and Nexus sleeve. The "Night Versions" EP was a limited edition single, released in 1982 when the band were touring Australia for the first time with The Rio Tour. The version of "Girls on Film" is totally unique and was not available on any other release, which features a slower song tempo and includes cameras clicking in the first few bars. "BBC In Concert: Hammersmith Odeon, 17th December 1981" is a Duran Duran 13-track live album, released as a download by EMI on 29 March 2010. Recorded during The Careless Memories Tour at the Hammersmith Odeon in London, UK on 17 December 1981.This was the twelfth show of seventeen performed in the UK on the tour. The album includes "Last Chance on the Stairway", played before the song featured on the Rio album in 1982.